London, UK. 28.05.2013. 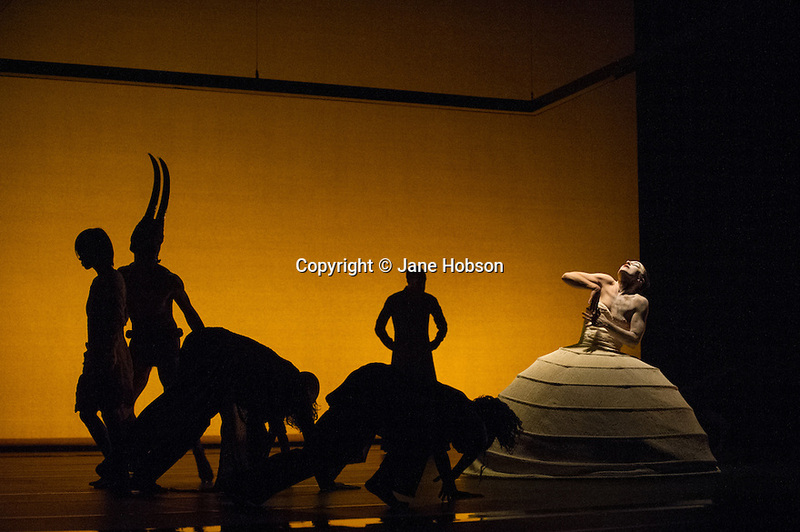 Akram Khan Company presents the new production iTMOI (In the Mind of Igor) at Sadler's Wells. Material devised and performed by: Kristina Alleyne, Sade Alleyne, Ching-Ying Chien, Sung Hoon Kim, Denis Kuhnert, Hannes Langolf, Yen-Ching Lin, TJ Lowe, Christine Joy Ritter, Catherine Schaub Abkarian, Andrej Petrovic. Lighting design by Fabiana Piccioli. Music by Nitin Sawhney. Picture shows: Catherine Schaub Abkarian. Photograph © Jane Hobson.